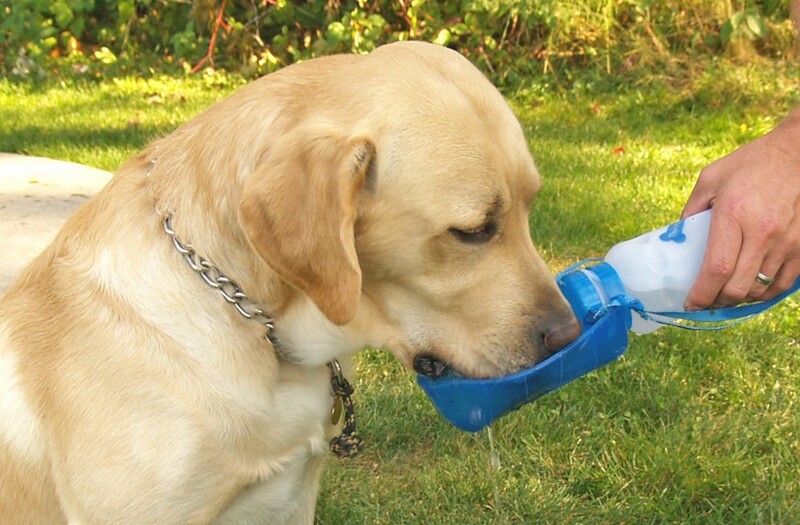 Keep your dog hydrated on hikes or simply ensure that there's always water on hand when you travel with him. 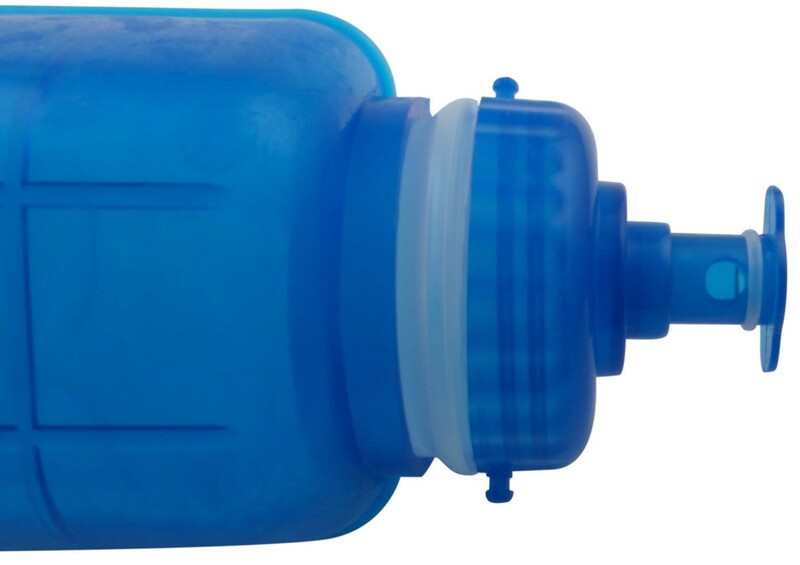 This portable bottle has a durable carrying strap and features a built-in, flip-down bowl for easy slurping. Lowest Prices for the best pet supplies from Heininger Holdings. 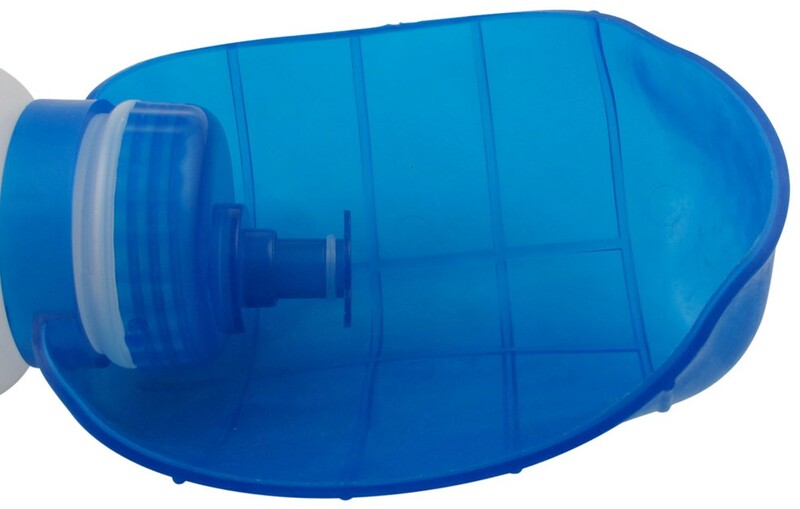 PortablePET PortaBottle Travel Water Container with Flip-Down Bowl - 20 oz part number HE3058 can be ordered online at etrailer.com or call 800-298-8924 for expert service. Order: RelevanceNewestRating - High to LowRating - Low to High Keep your dog hydrated on hikes or simply ensure that there's always water on hand when you travel with him. 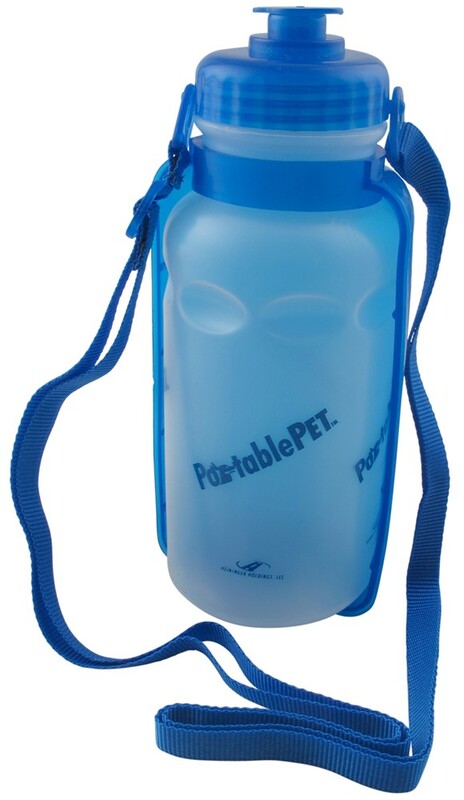 This portable bottle has a durable carrying strap and features a built-in, flip-down bowl for easy slurping.